Learn how to make homemade pesticides with simple ingredients found in most home to get rid of ants, aphids, mealy bugs, mites, scales thrips and fungal disease on your plants. Get rid of garden and lawn pest with this simple homemade insect solution made with two basic household ingredients. It's so easy to make homemade pesticides and it is great for handling the troublesome insect invasions that crops up during the warm months. Help your flowers, vegetables, fruits and fruit trees grow beautifully without the damage of insects. These easy to make recipes can be mixed up and used in a few minutes and save you hundreds of dollars each season as the ingredients are very inexpensive and items you most always have on hand. Plus they are safer without all the chemicals in commercial brands. Ants are one of the most troublesome insect in any home, learn the easy steps to keep your home ant free. Ants- The smallest bits of food attract ants. Pet food also attracts ants. To prevent your pet’s food from attracting ants, set the food bowl into a pie pan filled with soapy water. You will want to use a pet food dish about 1 inch smaller than the pie pan containing the soapy water so your pet is not distracted by it. You pet quickly loses interest becoming comfortable with the soapy water and ignores it. 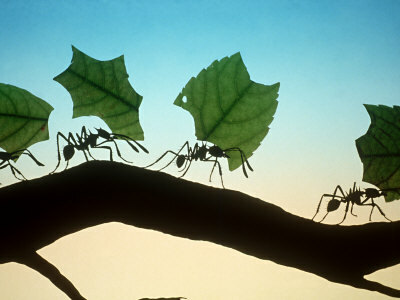 Ants won’t be attracted to the food as they cannot make contact thus they will not attract other ants nor return to it. Follow this simple homemade remedy to keep ant colonies from invading your home. To destroy invading ant colonies, mix three cups of water with one cup of sugar and four teaspoons boric acid. 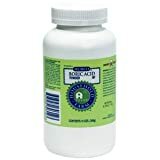 You may find boric acid on Amazon; I’ve included a secure product link to it here. Loosely fill several small screw top jars half way with cotton balls, saturated with the mixture. Eliminate the frustration of ants in your kitchen, pets food and anything else you forget to leave out. 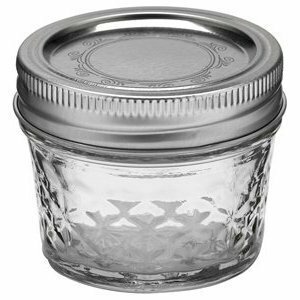 Pierce jar lids with two to three small holes large enough for the ants to enter. Place jars in areas where ants are active but out of the reach of children and pets. You may use short jelly jars as this works well for attracting ants given the shorter size. Plus these are more easily hidden out of sight. Take precautions listed on all ingredients used to secure your home for small children. Aphids love attacking our most beautiful flowers and plants learn how to keep them off your plants once and for all. Safe Soapy Spray – Mix one tablespoon dishwashing liquid, such as Ivory, Joy or Dawn (not antibacterial) in one gallon of water. Shake contents well mixing the ingredients, pour into spray bottle, shaking each time before applying. Test spray a few leaves of the affected plant; if no damage occurs in a 24 hour period spray the entire plant. I use this all the time and have never damaged a plant, tree, bush or flower. 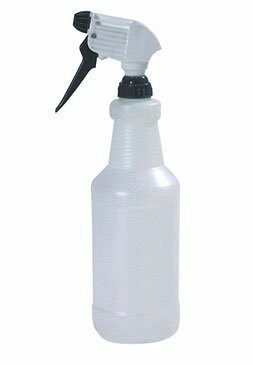 Ammonia Spray – To make this bug control combine one parts household ammonia with seven parts water into a spray bottle. Practice the same test spray method as mentioned above. After a good result shake mixing the solution well and spray on the affected plant. Oil spray – Stir one tablespoon of liquid dish washing liquid into one cup vegetable oil (peanut, safflower, corn, soybean or sunflower). Mix 1 to 2 teaspoons of the soap and oil blend with one cup water pour into a spray bottle, shake before use to mix ingredients as they separate on standing, apply to affected plants. This is my favorite, I use it for everything. 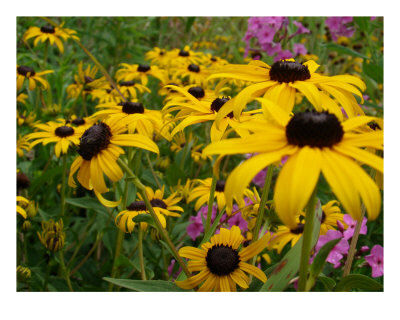 Black spots on flowers and plants usually means fungal disease, get rid of fungal disease easily with this simple treatment. mix one teaspoon of baking soda in one quart warm water. Add one teaspoon liquid dish washing liquid. Apply to leaves as a spray or drench the leaves of smaller plants with a watering can. This keeps the black spot from invading my Black Eyed Susan's which are prone to this. Trusted Wizzley author spirituality shares her fabulous all natural homemade plant lice treatment that rids your plants of this pesky threat simply with simple basic ingredients and instruction. Thanks Spirituality for helping us to garden the all natural way. Plant lice is annoying, but while I want to rescue my plants, I don't want to use chemicals in my home or garden, so I'm trying out home remedies instead. Share and read others experiences on how to get rid of ants, aphids and other pesky insects. Derdriu, Good to have you back, it is that time of year again. katiem2, This is a revisit since with all the rains here ants are homeless and taking advantage of every opened door and unrepaired crevice! In addition to all the ant remedies, I like the fungal treatments since that's a problem what with all the atmospheric moisture, hurricane-induced rain and standing water. What would you recommend for mosquitoes? Thanks for the tips, katiem2. Boric acid is great weapon against ants indeed if the queen gets her share. Because sugar is so rare in nature, ants bring it directly to their chief - queen and if it is mixed with boric acid (common in washing detergents) it is good chance she'll die. Sheri, WOW thanks for the great tip! I just discovered something that I read on a squidoo lens - using baby powder. I sprinkle it around where the ants were (after chasing them away with water and then drying the spot). It's been two days now and no ants!!! What a relief! Smells good, too. I'm just afraid to wipe away the baby powder now. I will be using these a lot. Thanks for the simple effective recipes to get rid of bugs insects ant those annoying ants. This will be a great money saver. Oh thanks Sheila, I guessed so, but the sugar confused me. I guess it's just to fool the ants. Great idea Katie, I'd love to try this. Boric powder isn't a problem here. 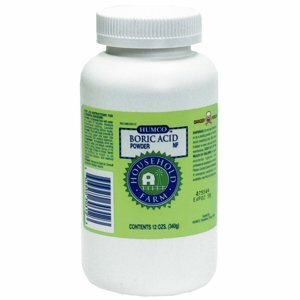 BORIC ACID POWDER HUMCO 12OZ HUMCO HOLDING GROUP INC.